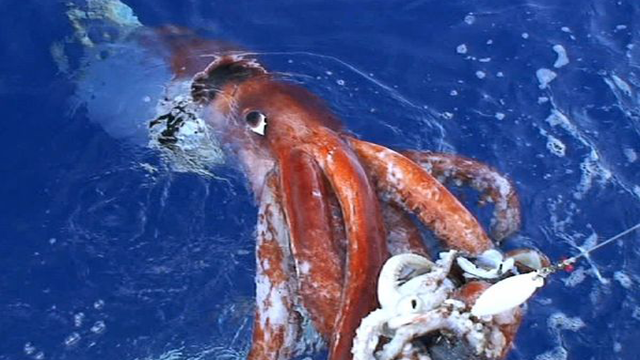 Seldom seen by human eyes, the giant squid has for centuries been athing of legend. Dwelling deep beneath the waves its only real predator is the sperm whale. In fact, the two are famous for their deep sea battles and their carcasses are often times found bearing the marks of mortal combat on their bodies.